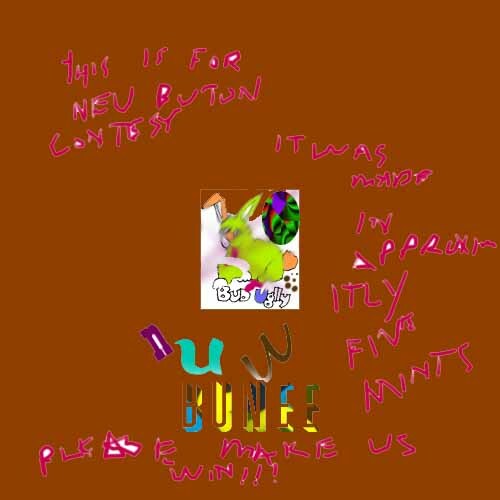 Title: "We Make Bunny New Ubtton"
"Big" is probably the werd that best describes Squeesqee and Flo's contest entrie. After a quick usability analysis though it was discovered that because of the fackt that this "new button" is so imense it would probably overshadow any item it was intinded to highlight, so rather it would be best used as a link button in it's own right or perhaps even an entire website. Also take special notice of the green round thing just to the right and above the bunny which was implimented in homage to the last contest.